Earlier this month, MAC and its member companies issued a position statement communicating support for a principled, open and transparent approach to government resource revenue sharing between the Crown and Aboriginal communities. Government resource revenue sharing provides Aboriginal communities with greater opportunities to participate in the mineral exploration and mining industry and could significantly contribute to the elimination of socio-economic disparities between Aboriginal and non-Aboriginal Canadians. Government resource revenue sharing, by enhancing and clarifying Aboriginal benefits, can result in increased certainty for commercial access to land and resource development. Government resource revenue sharing may provide an important basis for the accommodation of Aboriginal communitiesâ€™ interests. MAC and its members recognize that building respectful and sustainable relationships with local Aboriginal communities is essential to successful and responsible mining project development and operations. MAC and its members believe government resource revenue sharing could contribute to reconciliation efforts in a number of ways. It provides a powerful, symbolic recognition by governments that mining development is taking place on the traditional lands of Aboriginal people. We also believe that government resource revenue sharing complements other initiatives between mining companies and communities, usually committed to as part of Impact Benefit Agreements and other commercial agreements. There are currently 265 active agreements between mining companies and Aboriginal communities across Canada, as well as numerous joint ventures, collaborative planning efforts, and extensive training and employment initiatives. These serve as a testament to the ongoing development of progressive relationships between mining companies and Aboriginal communities. Government resource revenue sharing is understood as a sharing of resource royalties paid by industry to governments with Aboriginal communities. It is not an additional tax or royalty imposed on the industry. In practice, government resource revenue sharing models should be developed collaboratively between respective provincial or territorial governments and Aboriginal communities. It should be applicable to new mines and to new major expansions of an existing development. In its new report, Recommendations on Northern Infrastructure to Support Economic Development, the National Aboriginal Economic Development Board (NAEDB) calls for bold infrastructure investment to improve the quality of life for northern Indigenous communities and to facilitate economic and business development in the region. The report notes that each dollar spent on northern economic infrastructure has the potential, if invested wisely, to generate $11 of economic benefits for individuals and $11 of fiscal benefits for governments. The NAEDB concluded that increased infrastructure investment would not only contribute to economic development, but would support important social development goals in the North for the benefit of local communities. 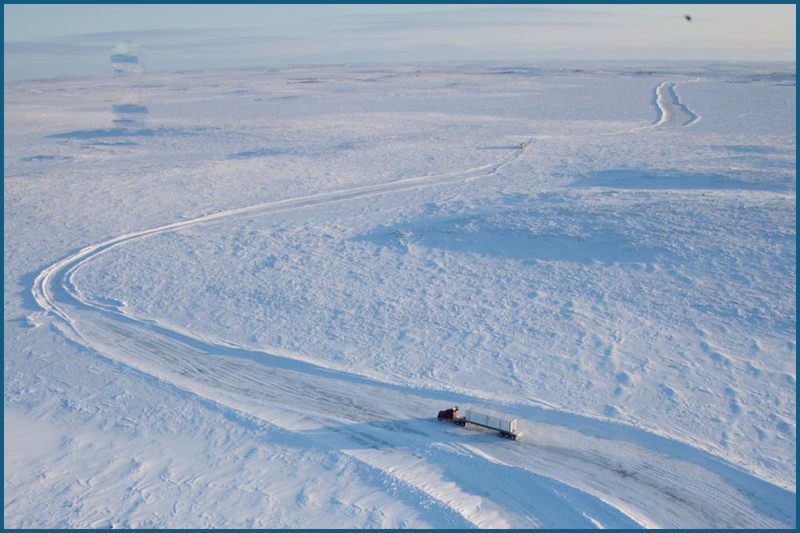 Enhancements to transportation infrastructure would mean better access to northern communities, improved connectivity would help northerners engage in the digital economy, and improvements to energy infrastructure would improve the investment climate in the North. For the mining industry, significant growth opportunities lie in both the territories and northern regions of the provinces. However, these regions lack critical infrastructureâ€”roads, electricity, ports, railwaysâ€”to service mines and get products to market. A recent industry study that MAC co-authored, Levelling the Playing Field, determined that the costs of developing gold and base metal mines in northern regions is 2 to 2.5 times higher than in the southern parts of Canada as a result of the lack of infrastructure. Opening up the North to sustainable mining development, in partnership with communities, will enable northerners to increasingly access the vast socio-economic benefits that mines bring to regions. As noted in MACâ€™s pre-budget submission to Finance Canada, the federal government can play a significant role in attracting new mining investment. For example, the government could enhance existing or establish new tax incentives to ease the high costs of operating in remote and northern regions. Additionally, the government could establish a northern-specific fund within the proposed Canada Infrastructure Bank to help facilitate the building of critical infrastructure that also serve a community benefit. These recommendations closely mirror those of the NAEDB in its report. MAC has released its latest annual Facts & Figures report, which found that despite market volatility and downward pressure on commodity prices, the mining industryâ€™s economic contributions to Canada remain strong. The findings serve as a reminder that even during a downturn, the mining industry plays a vital economic role in Canadaâ€™s rural and remote communities and largest cities. For example, the report revealed the industry directly employed more than 375,000 people in Canada in 2014 and remains the largest private sector employer of Aboriginal peoples in Canada on a proportional basis. The mining industry is also deeply interconnected to other sectors of the Canadian economy, with more than 3,700 companies supplying goods and services to the Canadian mining industry. In 2014, Canadaâ€™s mining sector contributed $57 billion to the national GDP, up from $54 billion in 2013, and mining industry exports continued to account for upwards of 20% of the Canadian total. Supporting the industryâ€™s innovation priorities to facilitate continuous improvement in the sectorâ€™s environmental and health and safety performance. 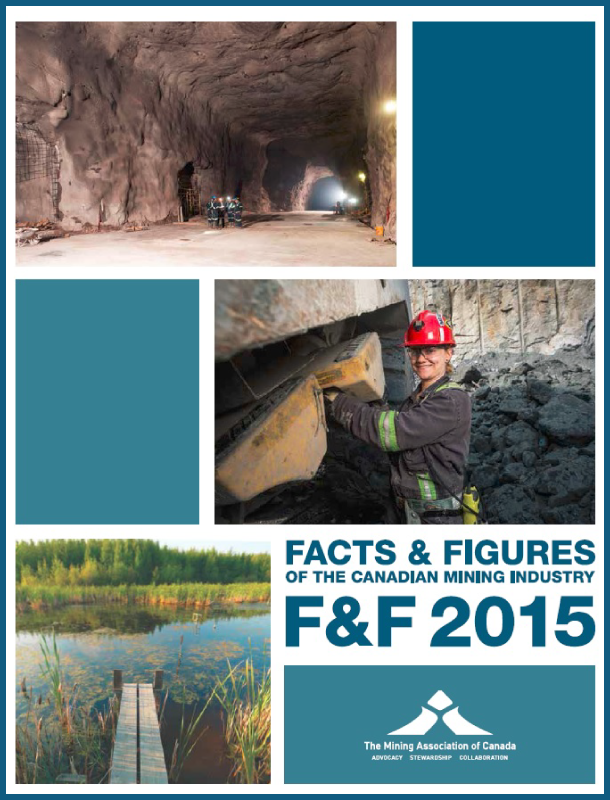 To download a copy of Facts & Figures 2015, please click here. The Paul Stothart Memorial Scholarship in Mineral Economics, valued at $3,500, was established in 2012 from the generosity of MAC member companies in memory of the late Paul Stothart, MACâ€™s former Vice President of Economic Affairs. The scholarship is awarded annually to a Canadian university student who shares a similar passion and talent for mining finance as Paul had. Qualified candidates must be studying either a Bachelor or Master of Economics or Commerce, or a Master of Business Administration at a Canadian university. Applicants must also demonstrate an interest, supported by current or intended course work, in mineral economics or mining commerce. 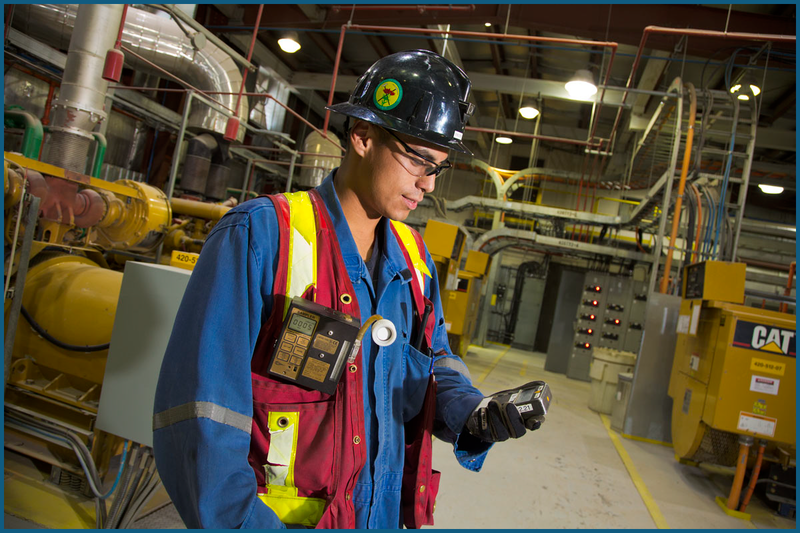 Applicants will be considered based on their academic achievement, as well as their submission demonstrating their commitment to a career in Canadaâ€™s mining industry. Students can submit their applications until May 15, 2016 and the scholarship will be awarded for the 2016-2017 school year. For more information about the scholarship and eligibility, please click here. 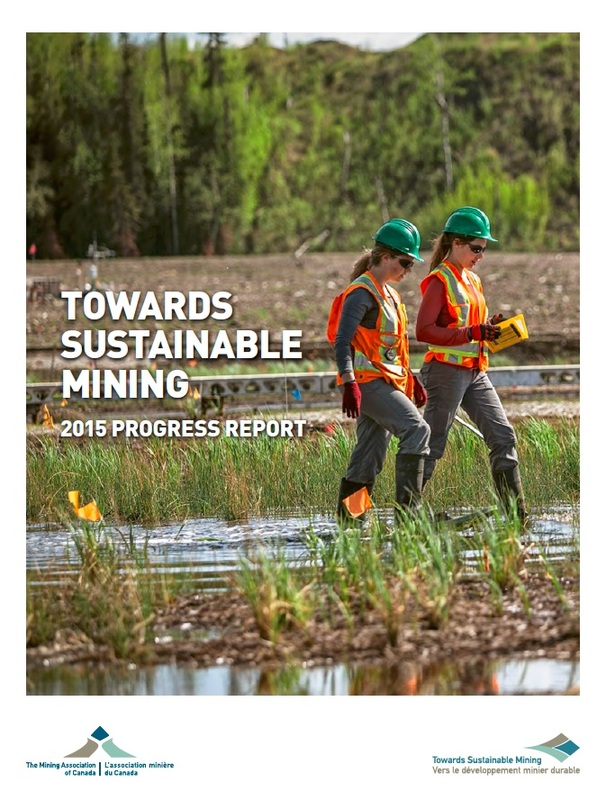 MAC has released its 11th annual Towards Sustainable Mining (TSM) Progress Report, which provides a detailed look at MAC membersâ€™ efforts to contribute positively to the communities where they operate. The report publishes facility-level performance data for the TSM initiativeâ€™s six protocol areas, which include: tailings management; Aboriginal and community outreach; safety and health; biodiversity conservation management; energy use and greenhouse gas (GHG) emissions management; and crisis management planning. For the first time for the Aboriginal and community outreach protocol, more than 90% of facilities achieved at least a Level A rating, with the majority of facilities achieving a Level AAA. There was a notable lift in results year-over-year for the biodiversity conservation management protocol. For example, in 2014, 67% of facilities achieved a Level A or higher for biodiversity conservation reporting, compared to 55% in 2013. Overall progress was made in the energy use and GHG emissions management protocol. In 2014, 75% of facilities reported a Level A or higher for having a comprehensive energy use and GHG emissions management system â€“ an increase of 15% year-over-year. Managing energy use and GHG emissions is critical to the fight against climate change â€“ and a great cost saver. The tailings management results remain strong, with over 90% of facilities reporting a Level A or higher for all five indicators in the protocol. Notably, 98% of facilities have implemented an operation, maintenance and surveillance manual that adheres to industry best practices. Work is underway to strengthen the TSM tailings management protocol. In November 2015, an independent task force commissioned by MAC to externally review the TSM system for tailings management completed its report. The report contains 29 recommendations to strengthen the tailings management requirements and guidance under TSM, and MAC is currently working to implement all recommendations. Participation in the TSM initiative is mandatory for all MAC members. Since TSM launched in 2004, the Mining Association of British Columbia and the Quebec Mining Association have adopted the program for their members. In November 2015, the Finnish Mining Association adopted TSM, the first mining association outside of Canada to implement the program, while the Chamber of Mines in Botswana is actively considering doing the same. To download the 2015 TSM Progress Report, or to learn more about the initiative, please click here. MAC members, Teck Resources Limited and Cameco Corporation, were named by Corporate Knights on the 2016 Global 100 Most Sustainable Corporations in the World Index. Corporate Knights ranked major corporations based on a number of sector-specific sustainability metrics, including energy and water consumption, level of GHG emissions, waste production, safety performance, as well as the companyâ€™s financial strength and board and management diversity. Companies were also measured on whether top executive pay is linked to corporate sustainability targets. In total, nine Canadian companies made the 2016 list. Cameco was the top Canadian company on the list at number 32 and was followed by Teck at number 37. Copyright Â© 2016 Mining Association of Canada, All rights reserved.